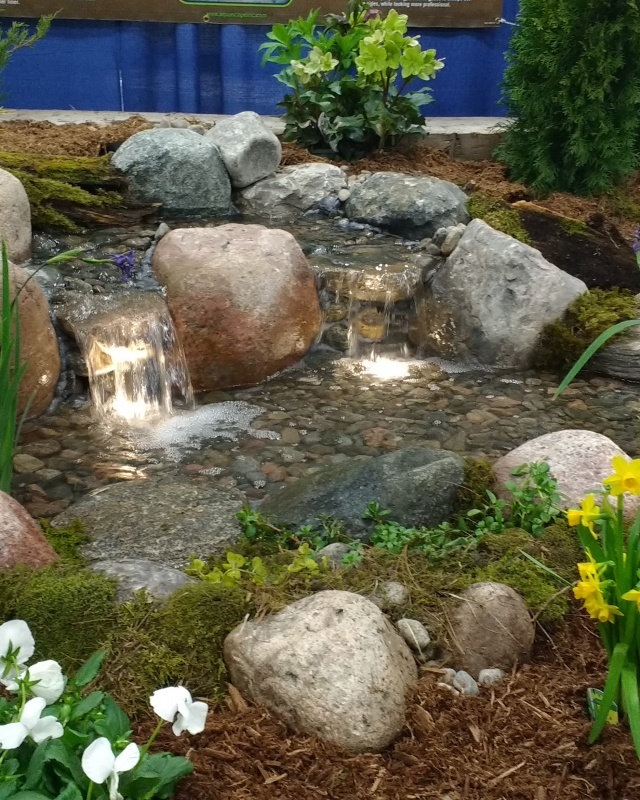 Spring has definitely arrived (finally) and gardeners in Tweed were excited to hear Dawn Golloher of Gardens Plus located near Peterborough talk about easy care perennials at the May meeting of the Tweed and District Horticultural Society. When Dawn originally bought the property in 1996, the only garden was a cedar hedge! 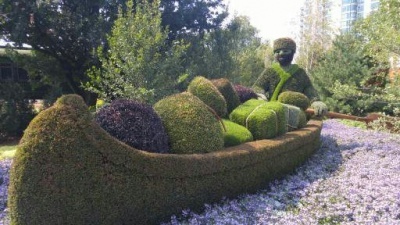 Now her beautiful display gardens are open to the public and plants are sold there as well. 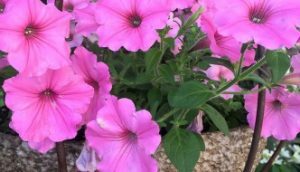 Dawn’s focus in gardening is growing plants that require very little maintenance once they are established in the garden…and what gardener wouldn’t love plants like this??? According to Dawn, these characteristics are what makes a perennial “easy to care”…. …the perfect plant for any gardener who wants to enjoy the garden. 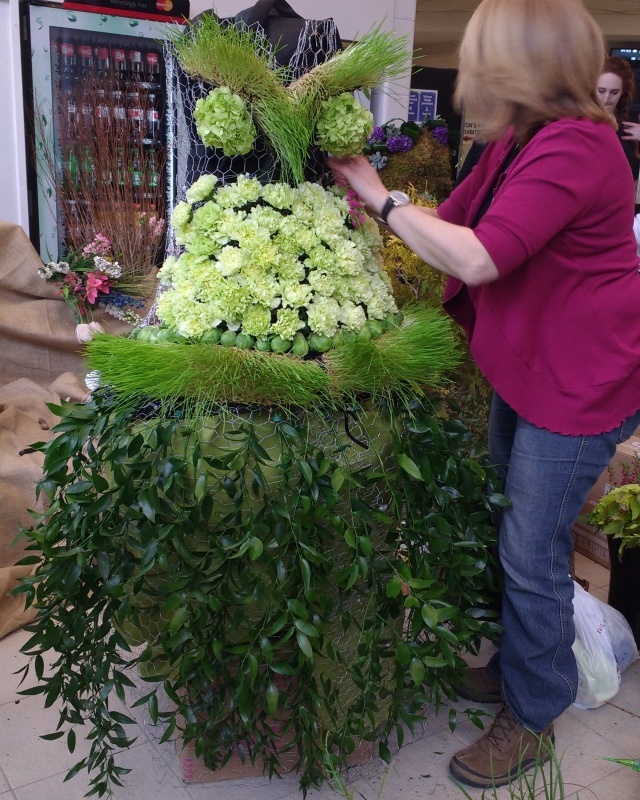 Dawn also shared some tips for planting…. Some easy care perennials shown in her power point presentation…hostas, coral bells, clematis, bee balm, cone flower, salvia, sedum and day lilies. 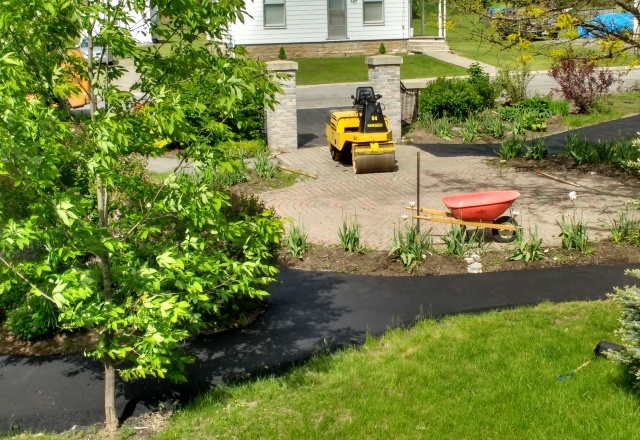 Gardens Plus is located at 136 County Road, Peterborough. Phone 705-742-5918. 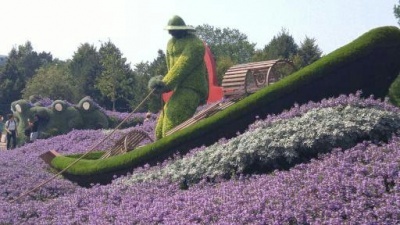 Gardens Plus is open from Mother’s Day weekend until the end of July from 10-4 Wednesday to Sunday. Fridays 10-7. 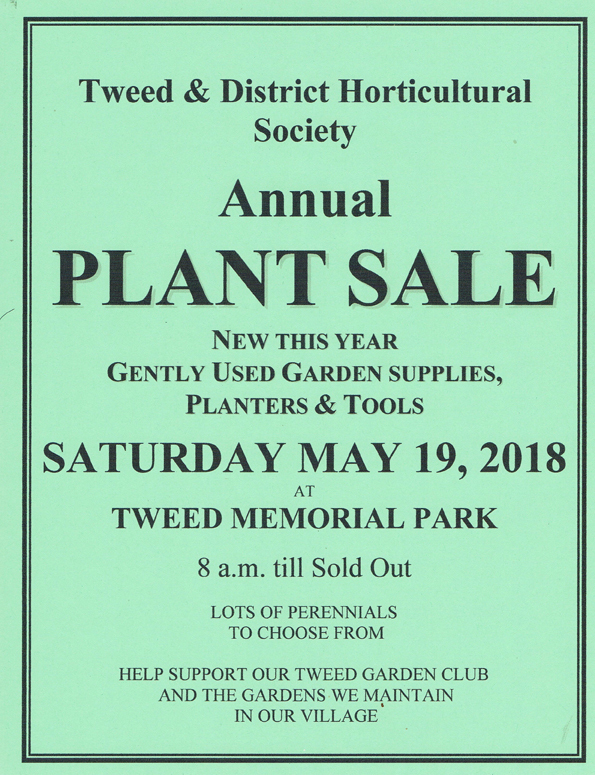 May 19… Annual Plant Sale at Tweed Memorial Park. All plant material for sale should arrive at park by 7 am. Sale starts at 8 am. 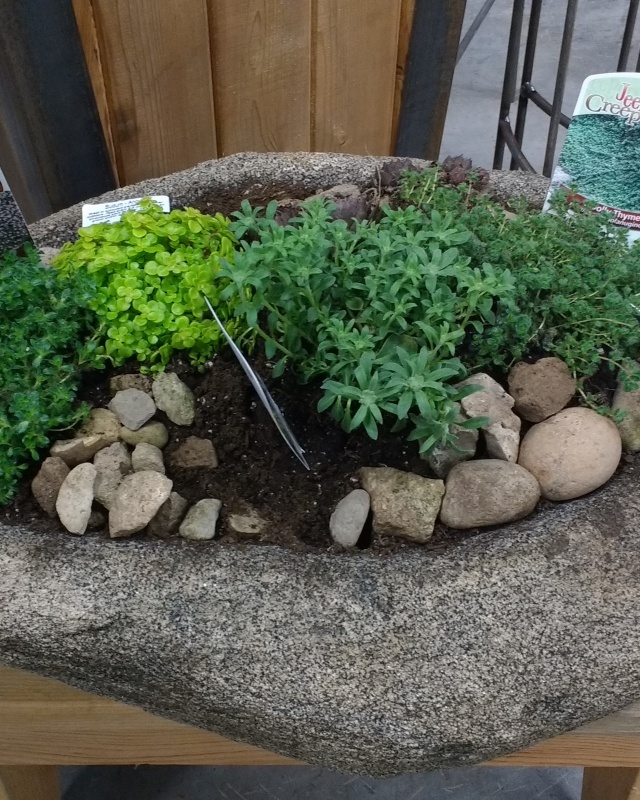 June 5… Anna Mizyn of Anna’s Perennials near Lindsay will be discussing winter hardy cacti and perennial grasses. There will be plants for sale! June 9…Children’s Program at Tweed Public Library at 10 am. 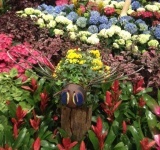 The children will create a seed craft and plant a flower to take home. Pre-registration is required. Children must be accompanied by an adult. Barry Matthie stands next to Elizabeth Churcher, co-president of Tweed Hort, and Maggie Goode, his partner while being photographed for the local newspaper. 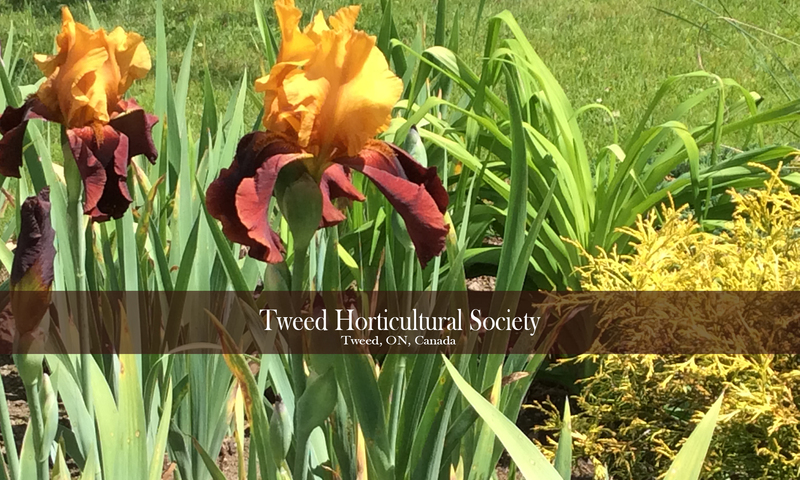 Although eastern Ontario is experiencing a colder April than normal, it is the anticipation that spring will be here soon that enticed members of the Tweed and District Horticultural Society to attend the April meeting to hear about daylilies. Barry Matthie, grower, owner and breeder of Bonibrae Daylilies in Bloomfield shared his passion for daylilies at the meeting. His daylilies have won many awards from the Ontario Daylily Society. Barry has hybridized over 80 daylilies throughout the years. It takes approximately 5 years to develop a new strain. To propagate, Barry collects seeds in the fall just as the seed heads start to break open. The seeds are put into small pots and left in the refrigerator over the winter. In early spring, they’re planted directly in the ground. Barry has developed a great variety of colourful unique daylilies. Members were invited to visit his farm on Matthie Road in the county. 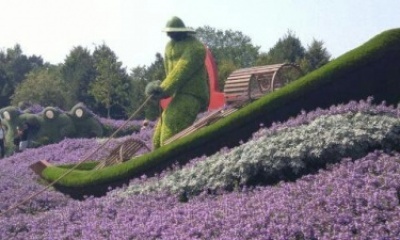 Best time to visit is during the peak flowering season from July to early August. No potted plants are available, as Barry will simply dig up a clump from the garden and put into a bag for you to take home! 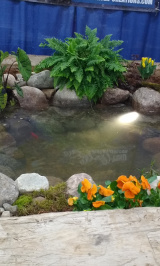 For hosta lovers, they also sell hostas and oriental poppies….definitely a great place to plan to visit! 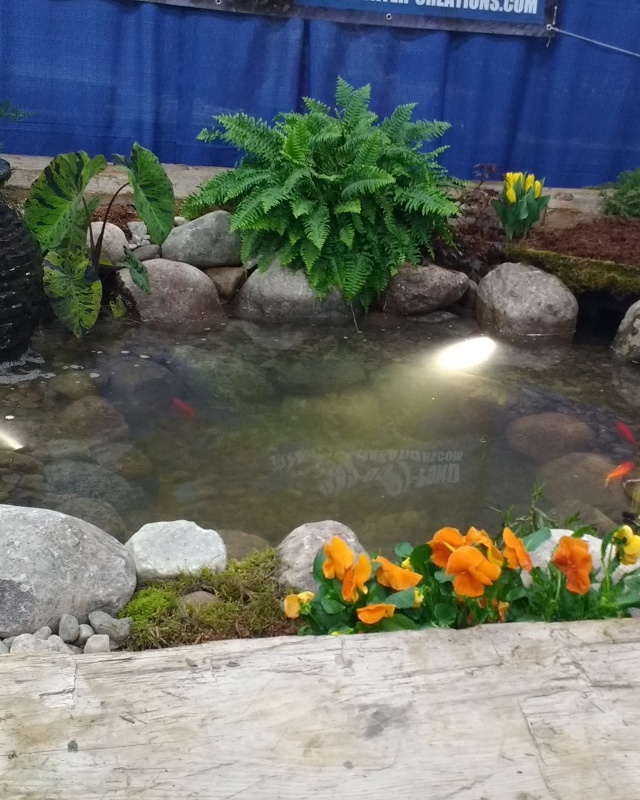 April 13-15….Peterborough Garden Show at the Evinrude Centre, 911 Monaghan Road. 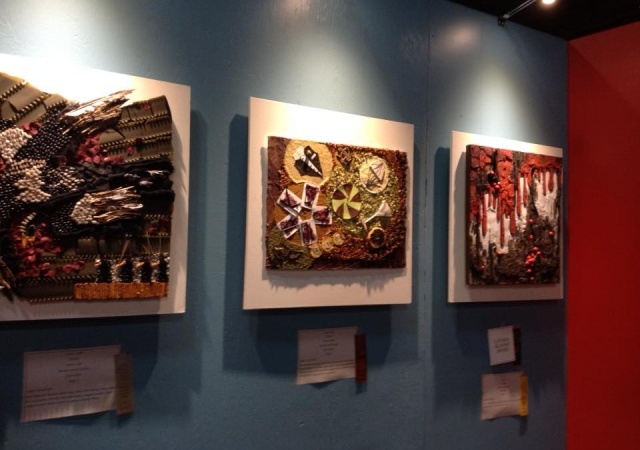 Show hours are Friday April 13, 5 pm-9 pm, Saturday April 14, 10 am -5 pm and Sunday April 15, 10 am – 4 pm. 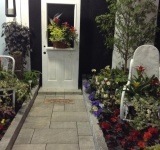 May 1…Dawn Golloher of Garden Plus near Peterborough will share some of her new easy care perennials. Dawn’s focus is growing plants that require very little maintenance once established in the garden. There will be plants for sale at the meeting. NOTE: This meeting will be held at the White Building. 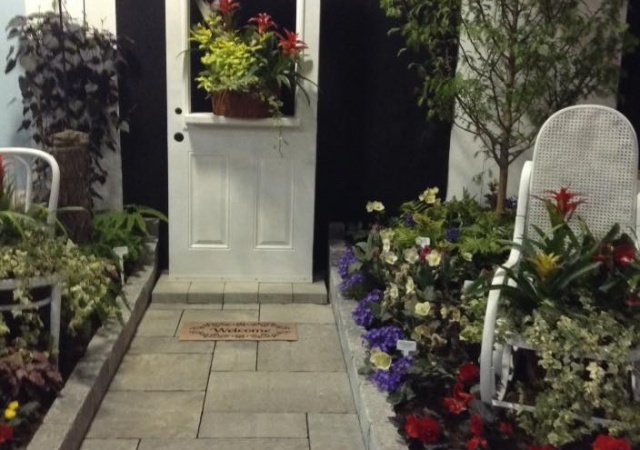 April 28….District 3 Spring AGM hosted by the Stirling Horticultural Club. Please register with our club if you re interested in attending. 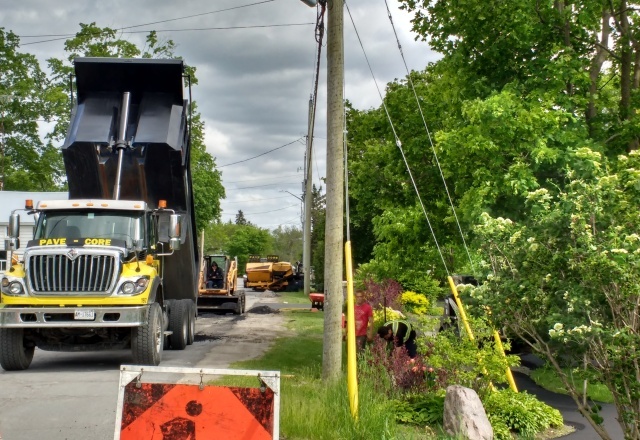 April 28…Clean up of flower beds in the town. Meet at 9 am at Moira Garden. 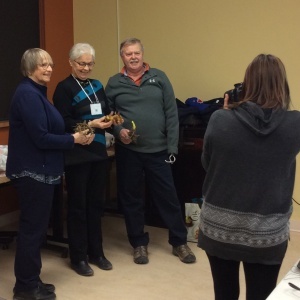 Deanna Groves and John Reidi, owners of Quinte Botanical Gardens were the guest speakers at the March meeting of the Tweed and District Horticultural Society. 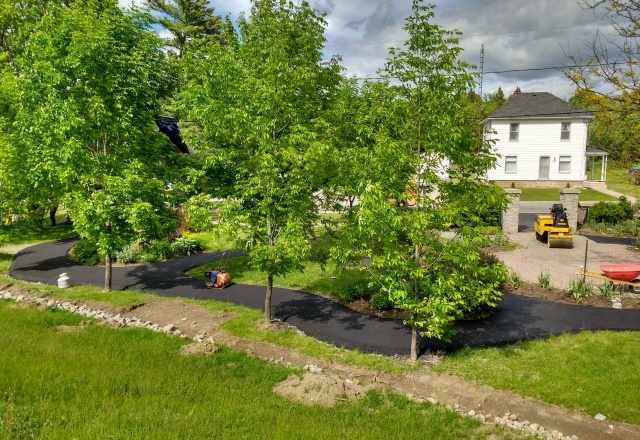 Through a power point presentation, they shared the development of these gardens on their property north of Frankford on Glen Ross Road. 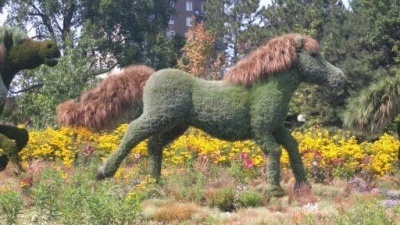 The gardens were developed on 6 acres of land that was part of their property. 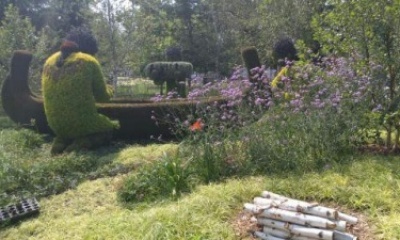 Presently there are 13 structures placed throughout the gardens, 23 benches and 3 water features. 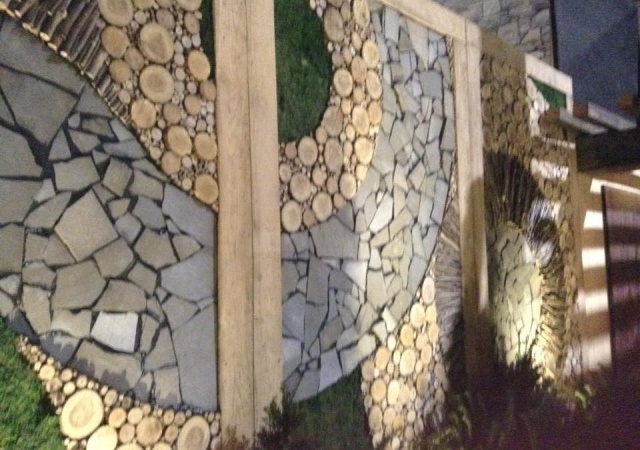 The gardens were designed by Deanna to focus on a theme for each garden…..Knot Garden, Oriental Garden, White Garden, Colour Wheel Garden, Edible Garden and Bird, Bee and Butterfly Garden. The gardens will be opening May 31 this year and will be open from May to October six days a week (closed Wednesdays) from 9-5. 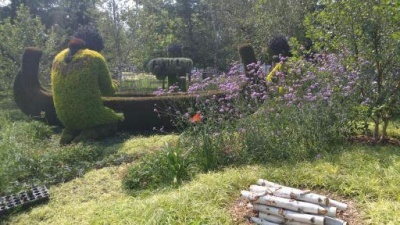 The grounds are 100% accessible with seating throughout the gardens. There are washrooms available and restaurants are within a short drive. There is an admission fee of $10 and the tour is self guided. 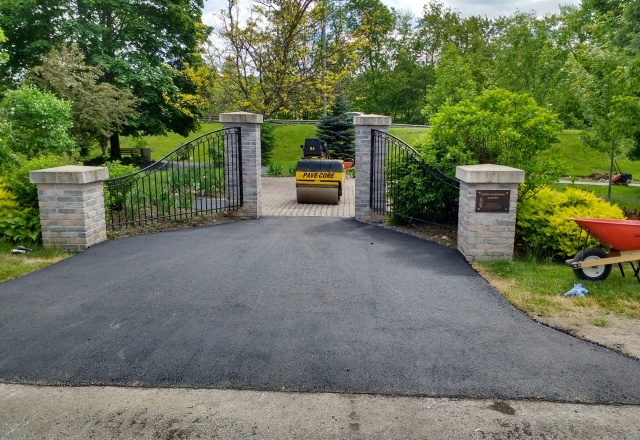 There are always lots of events happening at the gardens according to Groves…..weekly presentations, teaching/fields trips, seniors programs, memorial plantings and trail gardens to try new seeds. A Tulip Festival is planned in the near future with 40,000 tulips. Members could be heard discussing plans to visit to the Quinte Botanical Gardens when they open in May. 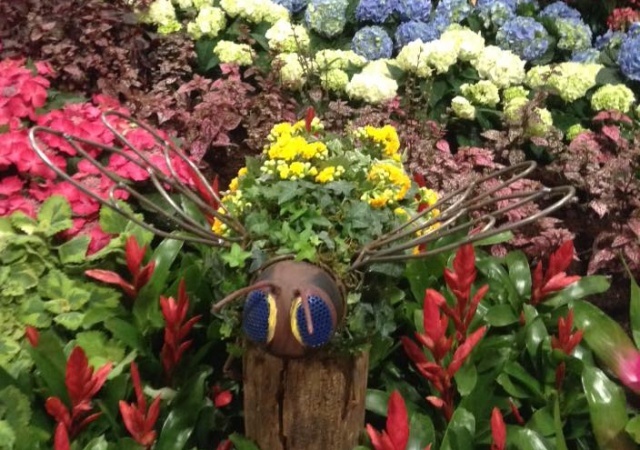 As Groves stated, there is always something new blooming in the gardens…..so several visits just might be necessary!!! April 3….Barry Matthie, owner, grower and breeder of Bonibrae Daylilies in Bloomfield will be speaking about daylilies. He enjoys breeding lilies with ruffles edges, gold edges, double edged and specific colour combinations. 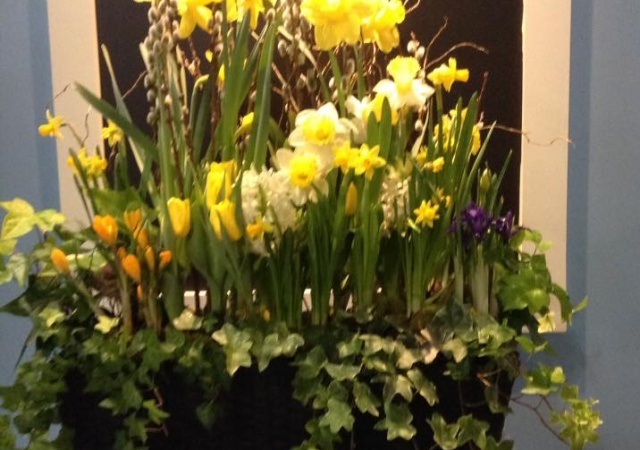 Members of the Tweed and District Horticultural Society were happy to attend the first meeting for 2018…..a sign that spring is coming in spite of the mounds of snow and the Groundhog’s predication of six more weeks winter! 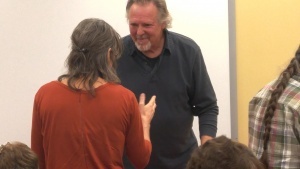 Elizabeth Chrurcher shared her experiences using a cold frame and John talked about how he stores his garden produce. 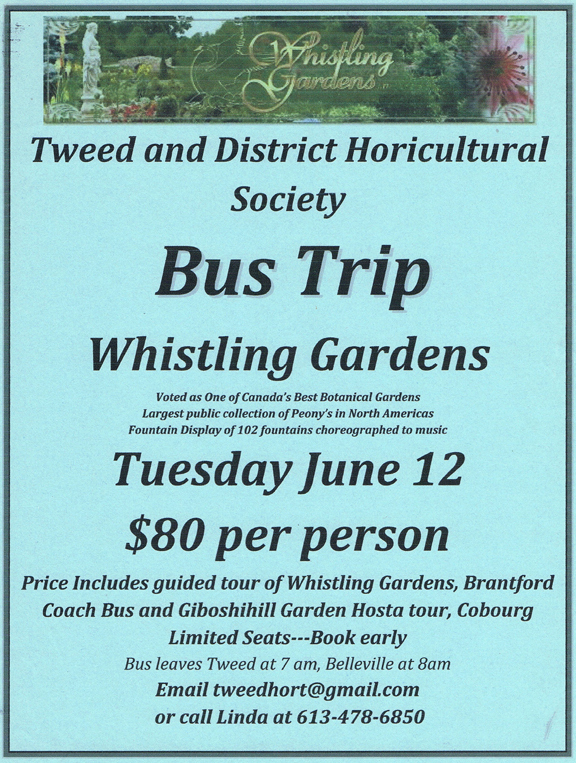 Elizabeth has been member of the Tweed Horticultural Society for over 10 years and served as its President for the past two years. John is the former owner of the organic blueberry patch in Tweed. Through various methods, Elizabeth is able to enjoy food from her garden throughout the year. She has a cold cellar where she stores beets, carrots, onions and potatoes. Her freezer is filled with beans, corn, garlic scaps, broccoli, pesto, asparagus, pears, zucchini, strawberries, raspberries, blueberries, cherries, peaches (she admitted that she does not grow peaches!!! ), apples, pumpkin and black currents. Her shelves are laden with preserves….beets, dill pickles, salsa, applesauce, chili sauce and tomato sauce. 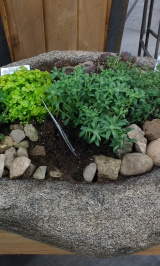 She also dries herbs from her garden…sage, lemon thyme, oregano. Some herbs are kept on her sun porch throughout the winter in pots. 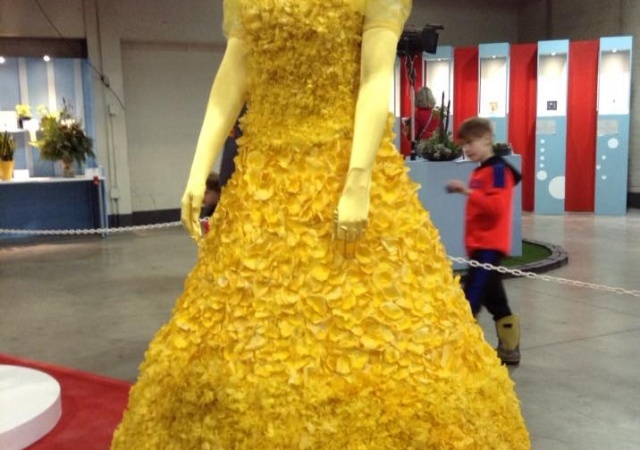 In spite of all the food from her garden, Elizabeth really wanted to have fresh spinach, lettuce, and other greens during the winter months. Her solution…build a cold frame. Using the book, Year Round Vegetable Gardener by N. Jabbour, Elizabeth set out the construct a cold frame. 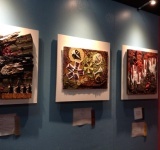 She highlighted both her successes and areas that are still a “work in progress”…. -due to very cold weather in December/January of this year, the cold frame did not produce the abundant crop that was harvested in past winters….but it is all a learning experience, according to Elizabeth!!! John Wilson shared his ideas and practices for storing food from his garden over the winter months. A cold cellar/root cellar needs air circulation and the humidity should be maintained between 85%-95%. John’s “Show and Tell” presentation gave the members an opportunity to see the potatoes, carrots, leeks and beets that he has stored in his cold cellar. 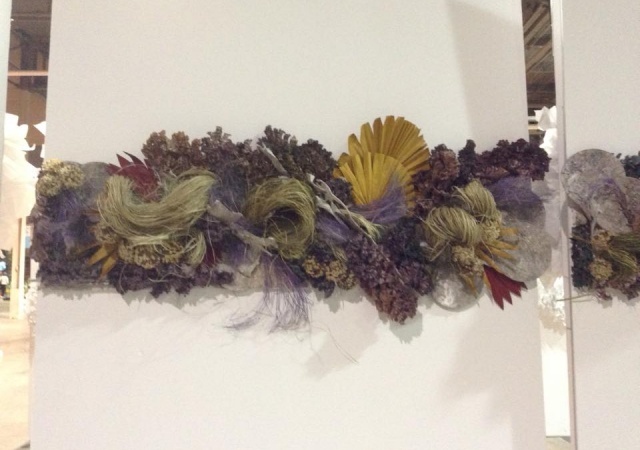 Cabbages do very well in a cold cellar….they can even be hung. John recommended that potatoes should develop a tough skin before they are placed in the root cellar. Sweet potatoes can keep for almost a year as long as they are “cured” in warm soil for 10-14 days. Sweet potatoes like warm temperature so they are not recommended for cold cellars….simply keep them in a milk crate or cardboard box in a cupboard with 60 degree temperatures. John plants lots and lots of tomato…..before freezing he suggests removing the core and simply freezing in plastic bags until you are ready to use them for salsa, chili sauce etc. Too many green tomatoes….place in warm dark room or cover with newspaper to ripen. John uses a dehydrater to dry some of his vegetables, for example zucchini. Samples of John’s zucchini chips were enjoyed by members. 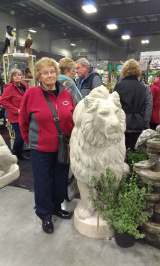 March 6 ….Deanna Groves and John Reidl, owners of Quinte Botanical Gardens will discuss their gardens and the overall plan for their property in the future. 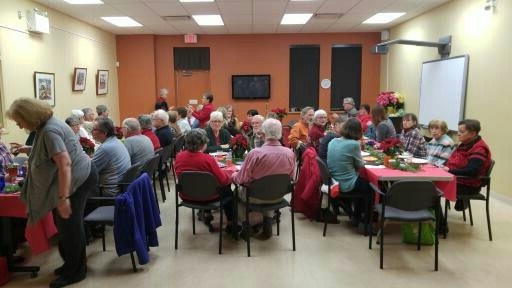 Members of the Tweed and Disrrict Horticultural Society ushered in the holiday season at their Christmas Pot Luck dinner on December 5. Bright red tablecloths, fresh cedar and pine boughs, Santa and snowmen figurines and pointsettia plants created a very festive atmosphere. The members continued to showcase their culinary talents with a variety of delicious dishes….roast turkey, ham, potatoes, vegetable casseroles, bakes beans, meatballs, quiche, rolls and a variety of salads. The dessert table was laden with plates of cookies, tarts, trifle, pie, squares and even grapes for the healthy minded members!!!! Punch, wine, tea and coffee completed the menu! 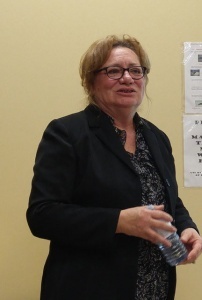 Jean Clark thanked the members for their volunteer hours during 2017. The members donated more than 2000 hours to the club through various activities. Several members were presented with the 5, 10 and 20 year pins to recognize their years of service to the club. Congratulations to these members! Linda Holmes and Joan Morton shared the annual video that highlighted the club’s activities during 2017…speakers, trips, AGM meetings, workshops, plant sale, 150 celebrations, Tweed Fair….such an active group! The video was enjoyed by all and a very special thanks to Linda and Joan for coordinating this presentation. Then it was time for……”Quarter Frenzy”….a bidding game that uses quarters to bid. Dave and Penny did a great job keeping the game on track and ensuring that ALL members dropped their quarters in the cup as they bid!!! There was lots of excitement as members bid for the items….shortbread cookies, wine, an enormous poinsettia plant, Christmas cake, maple syrup, birdfeeders, table runners, cookie jars and a variety of Christmas items. Several lucky members won three prizes!!! 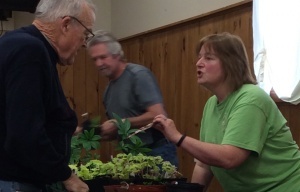 To conclude the meeting, members also had the opportunity to win poinsettia plants…lots of fun was had by all. Wishing all our members a joyous holiday season and best wishes for 2018! NOTE: First meeting for 2018 will be Tuesday February 6 @ 7:00 pm at the Tweed Library. Annual memberships will be on sale at the meeting. 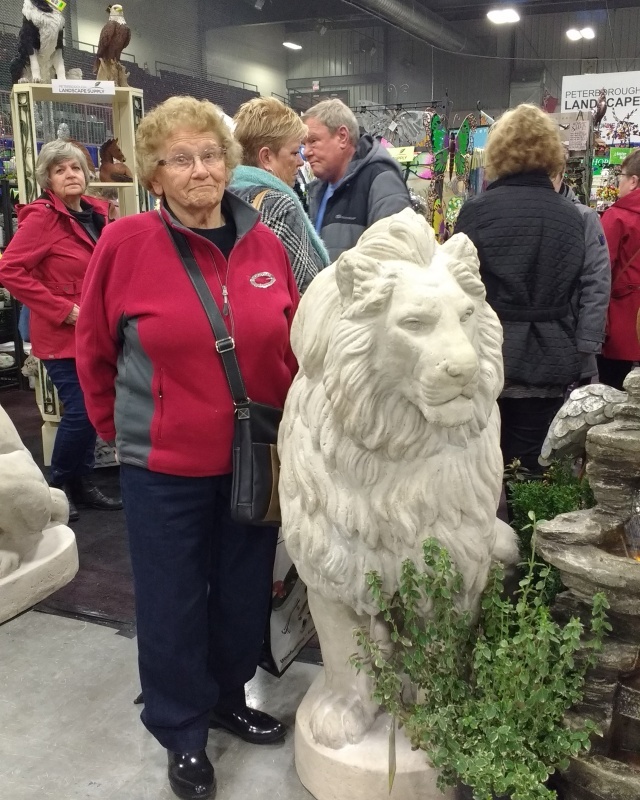 Roseanne Ballast of Stonepath Greenhouses launched the Christmas season for members of the Tweed and District Horticultural Society at the November meeting. Through several demonstrations, Roseanne showed members how to create outstanding Christmas arrangements for both indoors and outdoors. 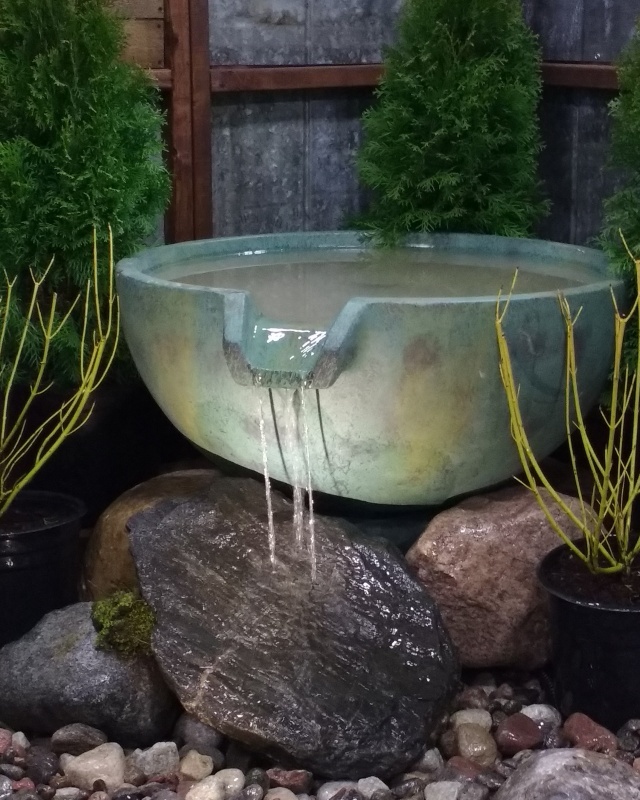 According to Roseanne, a pot/container filled with soil works well for outdoor arrangements. 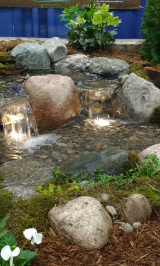 An oasis soaked in water can also be used. Using different types of greenery…pine, cedar, spruce, hemlock and boxwood will lend a professional touch to arrangements. 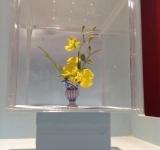 She suggested using white pine as a “spiller” as it will soften the arrangement. 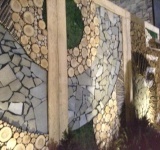 Cedar creates an interesting texture and dogwood adds that hint of a colour. Of course, “glitz” is popular during the festive season. For balance, Roseanne suggests using uneven numbers of these glitz decorations. 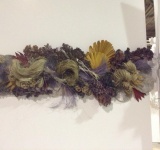 Using a metal wreath frame, Roseanne created a wreath of natural greenery. 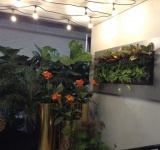 The greenery is wired onto the frame. A bow adds a touch of colour. Roseanne also demonstrated indoor centre pieces for the holiday season. An oasis needs to be cut to fit the container. 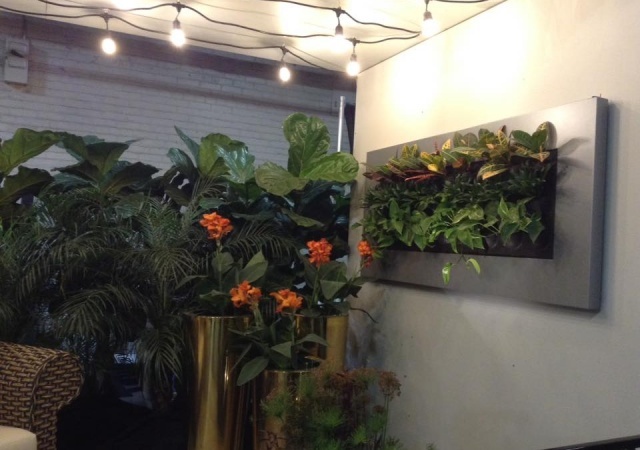 This oasis must also be wet to preserve the greenery and flowers indoors. 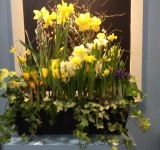 Use real flowers add colour to the arrangement. 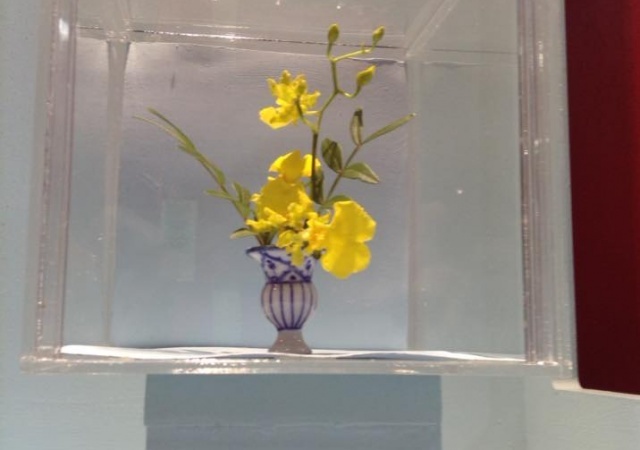 The flowers do not last as long as the greenery, so Roseanne suggested simply replacing the flowers when they die! A good piece of advice shared by Roseanne is to keep table arrangements low so people can easily talk across the table! The highlight of the evening came when Roseanne invited members to create a Christmas angel. 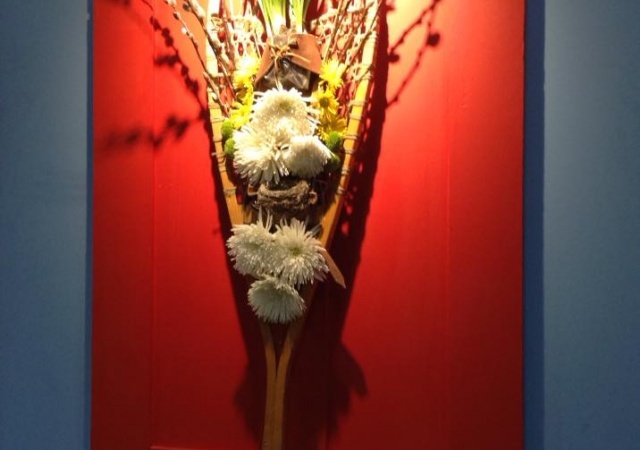 She supplied the angel frame (made from barn board and cedar), greenery, wire and ribbons….and the room was suddenly filled with beautiful angels that members were proud to take home for the festive season…..the Christmas season had certainly started in Tweed! December 5…Christmas Pot Luck Dinner @ 6 pm. Bring your favourite pot luck dish, dessert, plate, utensils and wine glass. There will be the annual power point presentation of the club’s activities throughout 2017. Bring quarters to play “Quarter Frenzy”….always a lot of fun! Volunteers are needed to help set up for the dinner. Meet at the library at 1:00 on December 5th. 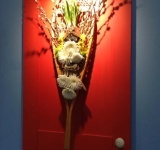 December 9…Children are invited to create a Christmas ornament. All materials will be supplied. The event tales place at the Tweed library at 10:00. Please pre-register. December 15…Luncheon at Club 213 at Loyalist College at noon. 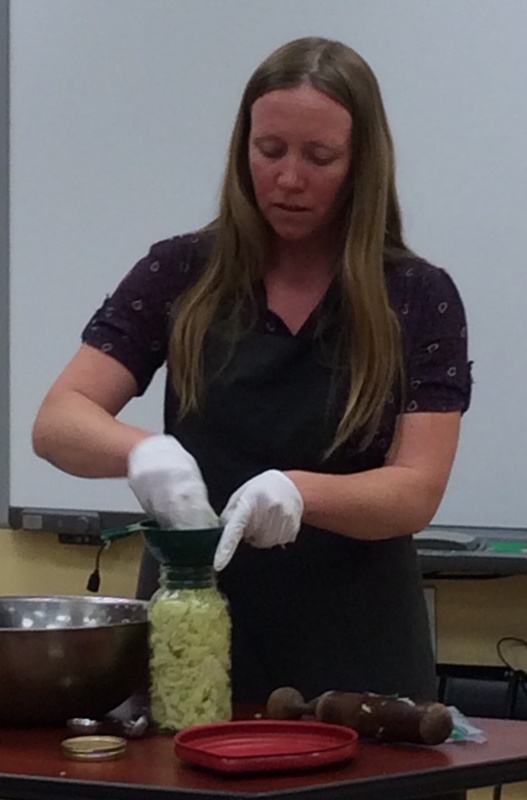 Jenna Empey shared her knowledge of fermentation at the October meeting of the Tweed and District Horticultural Society. 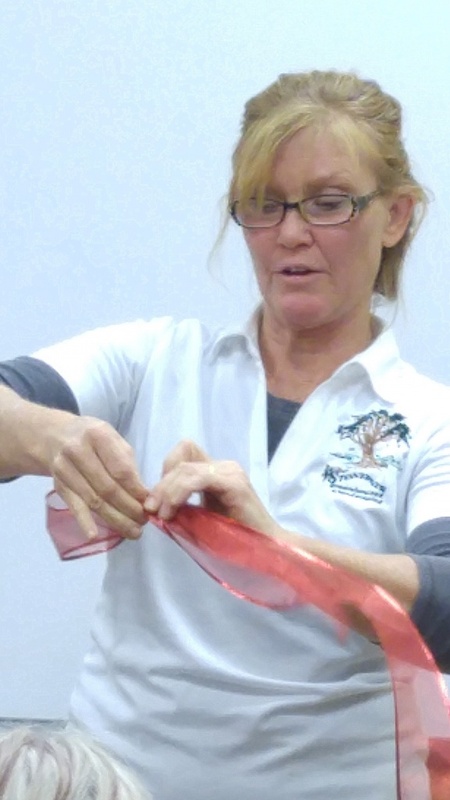 Jenna has over ten years experience in organic gardening and fermentation. She began a small business in Prince Edward County that focuses on the natural fermentation of sauerkrauts, kimchi, brined vegetables and pickles. According to Jenna, eastern Ontario is a great area to grow high quality vegetables. She only uses local vegetables for her fermentating. Fermented foods is the new buzz word for one of the oldest way to preserve foods. All it takes is sea salt, vegetables and time…very low tech the way that Jenna described the process! Fermentation is good for the digestive system as it contains good bacteria. Fermentation also increases the nutrients in vitamins. The evening concluded with a demonstration on making a sauerkraut ferment. Jenna started with 10 cups of shredded cabbage and 1.25 tsp of sea salt. Wearing rubber gloves, she massaged and pounded the cabbage and salt mixture…amazing amount of liquid resulted. She then packed the mixture in a mason jar and pressed down with her pounder to pack it into the jar. Cleaning the inside of the jar will help prevent mould from developing. She then filled a small plastic bag with water and placed it on top of the cabbage mixture…to weigh down the cabbage. The lid was placed on the jar…Jenna cautioned the members to “burp” the jar to allow gases to escape. She suggested keeping the jar on the counter for 4 days and taste…if it is acceptable, place in fridge. If not, keep on counter and test on a daily basis until the the desired taste is achieved. 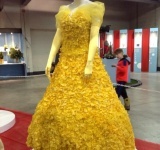 Jenna encouraged member to mark August 4,2018 on their calendars as the Ontario Fermentation Festival is being held at the Crystal Palace in Piction…a great way to learn more about this process through displays, workshops and speakers. 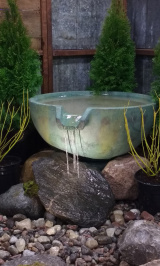 November 7…Rosanne Ballast of Stonepath Greenhouses will demonstrate Christmas decorations for both inside and outside using local greenery and other natural products. AGM will also be held at the November meeting. November 15…Volunteer hours are due. Please submit hours by email to info@tweedhort.ca or call 613-478-5535 for more information. The successful collaborative leadership of the Board throughout 2018 has established a solid foundation to build upon in 2019. Using a broad range of skills, Board members have committed to moving our organization into the future with the goal of benefiting the entire community of Tweed. The work of a strong team, including all of the members of our Society, is the key to achieving our vision. We need everyone’s support and understanding. Your presence, your encouragement, your contributions to meetings and to the plant sale, your helping hands in the garden, your ideas and the various little tasks that you do will be greatly appreciated. Every job that is completed, no matter how large or small, makes a difference! We have an exciting program in store for you in 2019. Inspirational speakers at our monthly meetings will share a wealth of information about trees, perennials, pollinator gardens, seed collecting, canning and so much more. There is something of interest to all! The diversity of activities planned provides opportunities for everyone to participate in ways that are personally gratifying as well as supportive of our community. 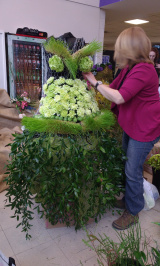 You can contribute plants to the plant sale on the long week end in May; you can submit entries to the Tweed Fair; you can help to maintain the gardens that add beauty to our wonderful community; you can enjoy trips in the company of friends and fellow gardeners; you can judge scarecrows. --- Or perhaps you would like to assist with a workshop that would engage our young people in the realm of horticulture and encourage them to incorporate gardening into their daily activities. As we step forward into 2019, let us view this New Year as a vast expanse, an open, barren field offering a fount of possibility. Let us join together, using our positive energy and our skills to build beautiful gardens where flowers and friendship blossom. With our strong team approach, we can make Tweed a richer and more vibrant, welcoming community. Together we can do it! Some images from this summer's Mosaicanada 150 at Jacques Cartier Park in Gatineau, Quebec. 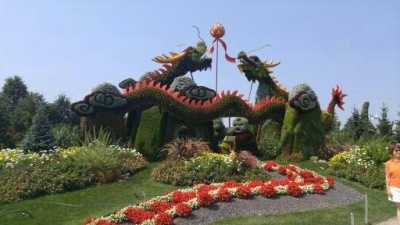 The 32 huge floral structures were built with wire frames containing garden cloth, some irrigation and over 3 million plants. 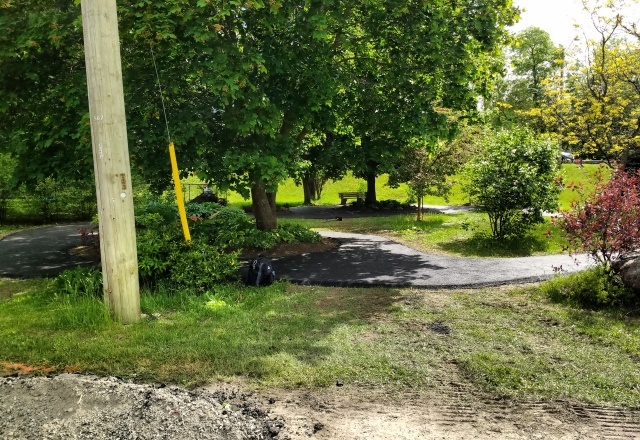 The Tweed Horticultural Society and the town of Tweed shared costs to pave the gravel walkways at Moira Gardens. Now it's an easier, more comfortable stroll around the Gardens. Check out the site just across from Tim Hortons. Buy a coffee, stroll across the street and relax in our beautiful garden. A great resource for planting in pots courtesy of Garden Making Magazine, Niagara on the Lake, ON. Click on the photo. Regular meetings are held on the first Tuesday of the month at the Tweed Public Library, 230 Metcalf Street, Tweed. starting at 7 p.m. (unless otherwise noted in the blog). Note: some meetings are held offsite. Refer to information elsewhere on the blog for changes to current meetings locations. Visitors and guests are always welcome. Visitor/guest fee per meeting is $3. Membership dues are $12 single and $16 family. Junior members: $1 per year (ages 8 to 17). Non-member fee per meeting is $3. For more information, leave a comment on one of the posts on the blog and we’ll get back to you. Or, send an email to info@tweedhort.ca. Or, send regular mail to the address above.